Ganymede magnetosphere, Normally when NASA publishes exciting new discoveries it’s thanks to data that just arrived from one of its many pieces of high-tech space hardware. NASA’s Galileo isn’t around anymore, having dipped into Jupiter’s atmosphere over a decade ago in a suicidal dive that ended its incredibly long mission, but scientists are now looking back on some of the data the spacecraft gathered and discovering things they never knew before. The new discoveries are linked to data gathered from Jupiter’s moon Ganymede. Ganymede is the largest moon in the entire solar system, and it’s big enough that it produces its own magnetic field entirely independent of its host planet. Now, with the help of data originally gathered over 20 years ago, NASA is painting a more detailed picture of the relationship between the frosty moon and Jupiter. 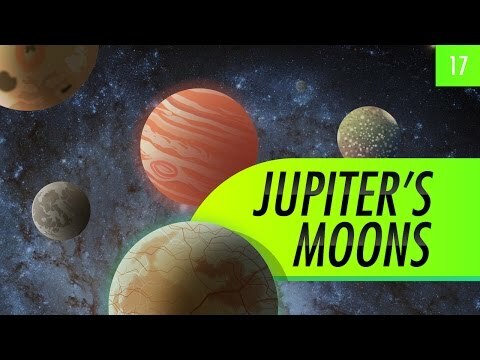 NASA says the new discoveries reveal that the magnetic field of the massive moon is toying with Jupiter’s own, with “strong flows of plasma” pushing back and forth between the two large bodies. Ganymede is bombarded by plasma which scatters particles from its surface and into space. The researchers now believe this explains the moon’s bright auroras. The auroras on Ganymede are similar to those we see here on Earth, but with one important difference: Earth’s aurora’s (or “Northern Lights”) are caused by the flow of particles from the Sun, while those seen on Ganymede are are actually caused by Jupiter itself. NASA has seen these brilliant light shows as they happen thanks to the Hubble Space Telescope, and this new data suggests their possible cause.